Boeing has released images of its 777X’s cabin and disclosed design changes that will make the aircraft’s cabin more comfortable than the current-generation 777. In addition, Boeing is giving 777X customers more flexibility in cabin layout by enabling them to choose from a greater variety of “cabin interior linings”, says the company. Linings include sidewalls, bins and ceilings, and encompass aircraft lighting. Windows in the 777X will be 16% larger than those of the 777, and they will be slightly higher, giving passengers on the aircraft a better view of the outside. The top of the passenger cabin windows are about 2.6 in higher than the 777’s windows, Craver says. 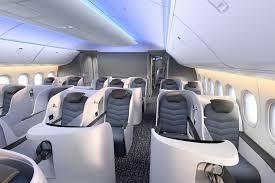 The 777’X cabin draws influence from the 787s and the “SKY” cabin found in the newer 737s, Boeing says. The 777X has enough storage to enable each passenger to stow a bag. Boeing redesigned the sidewalls so that the 777X cabin is 102 mm(4in) wider than the 777’s cabin. The 777-8 will have an 8,700nm (16,110km) range and a capacity of 350-375 passengers, while the 777-9 will have 7,600 nm (14,075 km) range and the ability to carry 400-425) passengers, Boeing says. Airbus’s incoming chief executive feels no pressure to scramble in response to Boeing’s concept for a New Mid-market Airplane (NMA). Rather, Guillaume Faury describes Boeing’s NMA — which remains little more than a proposal—as a potential response by the US manufacturer to a market already controlled by Airbus. “They are in the situation where they are losing this part of the market because they no longer have the right products,” says Faury of Boeing. “They believe they have to do something about it, and this is on them to make the next move”. Faury, who spoke in Mobile in January, currently heads the Airbus Commercial aircraft division but is in line to succeed Tom Enders as Airbus CEO in April. Boeing has taken a very different public approach, with executives saying they see a significant demand for an aircraft with 200 to 270 seats and range of 5,000nm (9,300km). “This airplane is a big opportunity for us,” Boeing Commercial Airplanes chief executive Kevin McAllister said last year. Meanwhile, Airbus had made inroads by squeezing more range from its A321neo. The European company has developed a long-range A321LR and speculation abounds that even longer-range derivative, known as the “A321LRX”, might be in the works. Fauey declines any comment about the XLR, but insists Airbus’s products already meet airlines’ needs.”We don’t have this gaps we don’t feel under pressure to react even before Boeing has moved. We will wait and see and observe,” he says. Swiss firm AMAC Aerospace has secured its first BBJ Max 9 completion contract and plans to take delivery of the re-engined narrow body at its Basel facility in September. Bernd Schramm, AMAC chief operating officer, says the design team has already started work on a mock-up of the interior, which he describes as “very special and unique”. The completed aircraft is scheduled for re-delivery to its unnamed customer in 2021. AMAC is now working on three green completions projects in Basel—two narrow bodies and a Boeing BBJ 747-8I—and is preparing to accept its first BBJ Max 8 in the fourth quarter. two units were delivered green in 2018—three Max 9s, and four Max 7s. 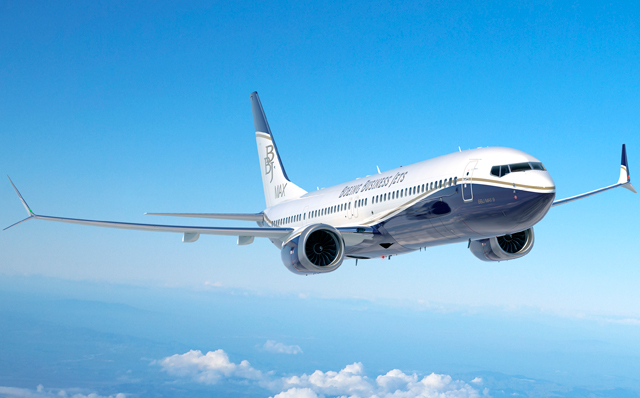 Three orders remain on backlog for the original BBJ, based on the 737NG airframe. Boeing also holds an order for a BBJ 787-8 wide body. 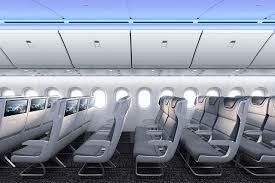 JetBlue Airways expects delays to the delivery of up to seven Airbus A321neos this year-end and says it has postponed deliveries of its first A220-300s to allow more time for the airline to choose suppliers of the aircraft’s interiors. The New York-based airline now expects to take six A321neos “minimum” in 2019, down from 13 deliveries previously, says chief financial officer Steve Priest in an earnings call on January 24. ”We’ve been officially notified by Airbus of widely-known delays in neo deliveries,” says Priest. JetBlue continues to expect that its first A321neo will enter service in mid-year. The airline has orders for 85 A321neos. In 2020, JetBlue will receive only one A220-300, instead of five it initially planned for. Priest says two of the four postponed deliveries will shift to 2021, the other two to 2025. An updated fleet plan shows the airline will take delivery of six A220-300s in 2021, up from four previously. Priest says the order book changes have no impact on the airline’s capacity plans for 2019 and 2020, or cost guidance. The carrier expects first quarter capacity to grow 7.5% to 9.5%,and full-year capacity to rise 5-7%. 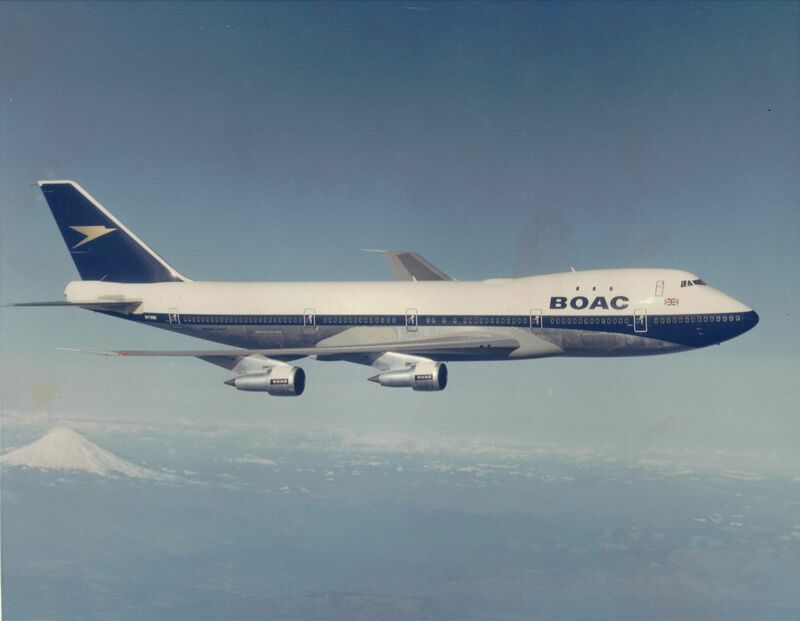 British Airways will unveil a Boeing 747-400 “retrojet” this month adorned in the colors of its predecessor airline BOAC, as part of the airline’s centenary celebrations. The UK carrier says that one of its 747-400s—registration G-BYGC— will arrive at Heathrow from the printshop on February 18 in the BOAC scheme, and that will remain in place until it retires in 2023. Tantalisingly ,it says that the 747 will be the “first aircraft to receive this design from British Airways’ past with more details of further designs to be revealed in due course”. 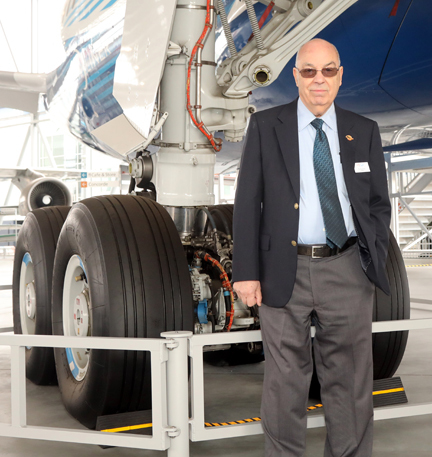 “So many British Airways customers and Colleagues have fond memories of our previous liveries, regularly sharing their photos from across the globes it’s incredibly exciting to be re-introducing this classic BOAC design,” says Alex Cruz, British Airways (BA) chairman and chief executive. Rolls-Royce has started installing a redesigned intermediate pressure compressor blade design on certain Trent 1000 engines, following approval from European and US regulators. The new blades, for the Package C version of the Boeing 787 powerplant, have obtained European Aviation Safety Agency and US FAA certification. Boeing and Rolls-Royce started issuing bulletins to customers in December 2018, Rolls-Royce adds. The Package C engines are fitted to some 170 Boeing 787s. Rolls-Royce says the first engine to receive the new blades is “currently being serviced” at the company’s overhaul facility in Derby. The blades have also been flown on an airborne testbed aircraft in Tucson. “As testing proved the design, Rolls-Royce began making new sets of blades, ready for introduction, in anticipation of regulatory approval,” says the company. It adds that the new blades are part of a program of activity intended to minimize disruption to 787 operators. 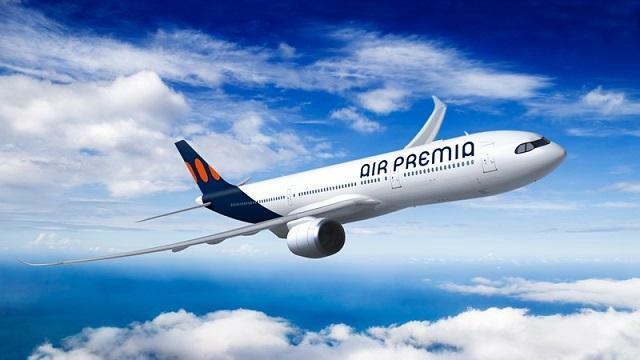 Air Premia South Korean startup carrier has selected the Boeing 787-9 to form the basis of its fleet, with deliveries to start in 2020. Saudia is to introduce Boeing 787-10 this year, the largest variant of the twinjet family. Aeromexico will receive its first Boeing 737 Max 9 aircraft this year, allowing the carrier to add seats at constrained airports with its network. Cayman Airways has received the first of four Boeing 737-8s. The four Max 8s will replace the airline’s existing 737-300s. American Airlines has taken delivery of its first A321neo, making it the latest US carrier to add the re-engined narrow body to its fleet. United Airlines took delivery of their 1,600th brand new Boeing aircraft since deliveries first began with the 707 in 1959. The 737 MAX is the carrier’s 12th of the new fuel-efficient jet. 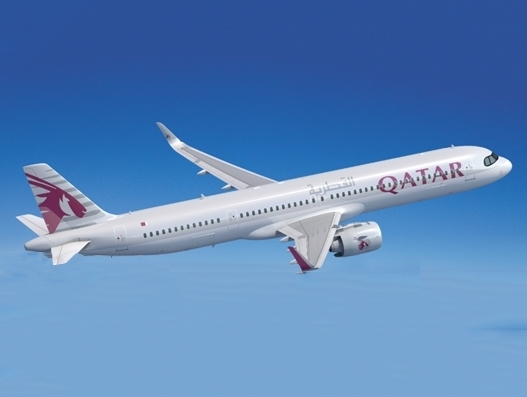 Qatar Airways converts 10 of its 50 Airbus A321neo on order to the longer- range Airbus A321LR. 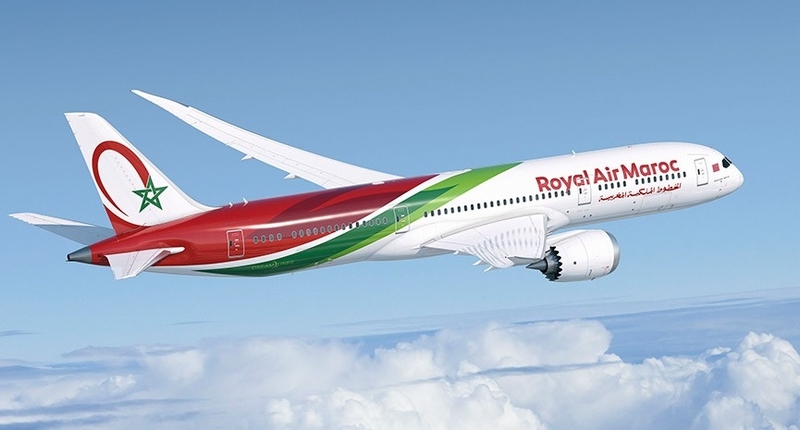 Royal Air Maroc has signaled that it is preparing for an extensive fleet expansion possibly involving upwards of 50 aircraft. 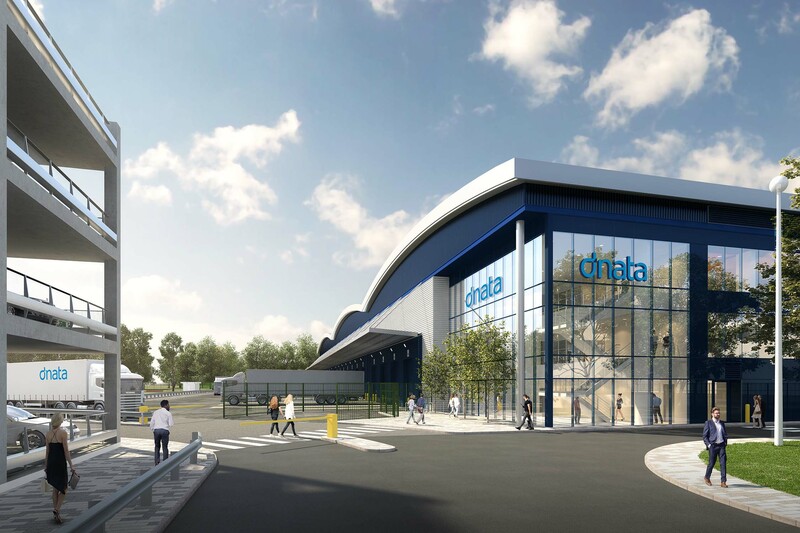 Delta Cargo, Virgin Atlantic Cargo are to move into a new purpose-built dnata City East, London Heathrow’s most state-of-art cargo facility. The move to the new facility is scheduled for the second half of this year and will ultimately increase the size of Delta’s cargo and Virgin operation at Heathrow to 335,000 square feet, and see customers benefit from greater automation and faster truck and cargo handling times. The Carriers’ facility at the off-airport data City Set building will be located opposite the Heathrow Cargo Terminal and adjacent to the airport’s southern perimeter road, which will provide quick access to the airport’s operational areas. The Purpose-built facility will deliver the highest levels of service, security and automation. The New location will also include temperature-controlled services for biopharmaceuticals and life science products, as well as a space for perishables and an enlarged center for live animals. The 747 turned 50 on February 9th. 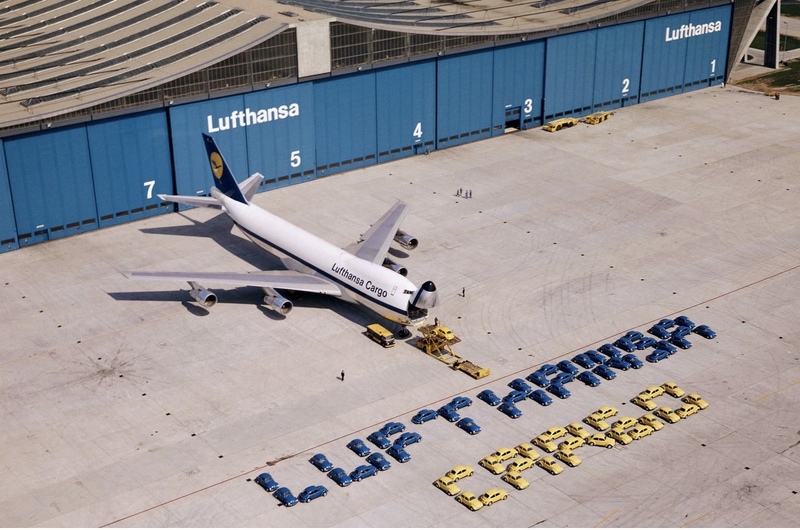 Lufthansa salutes the aircraft by releasing a picture of one of their freighters a Boeing 747-230F, taken in 1972. Nickname:”Beetle Swallower”, as it had space for 72 VW Beetles. 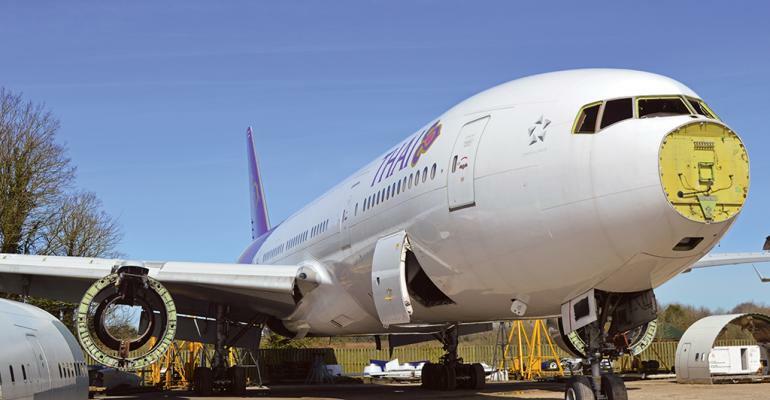 The Boeing 777 maintenance market will be worth north of $110 billion over the next 10 years; with about a quarter of that spend earmarked for components, according to Aviation Week data. Accordingly, several parts suppliers are stepping up efforts to source 777 material, buying aircraft from carriers that are upgrading their fleets. The latest example is GA Telesis, which at the end of January announced the consignment of four 777s from Cathay Pacific for disassembly in the U.S. and the UK. The first disassembly has already begun and the aftermarket company has committed to take five 777s in 2020. A significant chunk of the components salvaged could be bound for Asia, which is forecast to account for more than a quarter of 777 maintenance demand over the next 10 years—the largest any region. However, the Middle East carriers will operate the largest number of 777s by 2027, when it will be home to roughly 800 of nearly 2,000 77s in service by that year, according to Aviation Week data. Across all regions, meanwhile, engine maintenance will be the most important part of the 777 aftermarket, generating more than a third of overall demand.